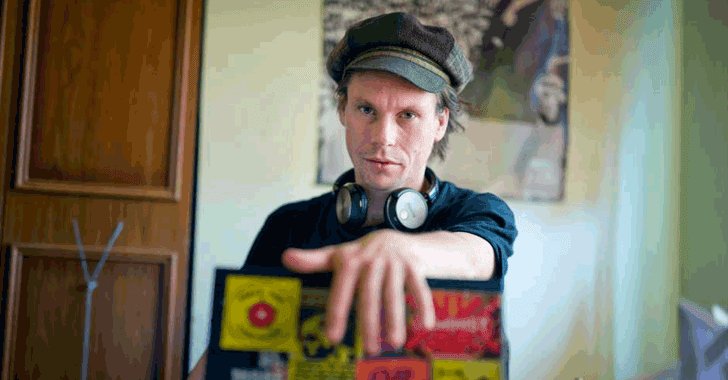 British citizen and hacker Lauri Love, who was accused of hacking into United States government websites, will not be extradited to stand trial in the U.S., the High Court of England and Wales ruled today. Love, 33, is facing a 99-year prison sentence in the United States for allegedly carrying out series of cyber attacks against the FBI, US Army, US Missile Defence Agency, National Aeronautics and Space Administration (NASA), and New York's Federal Reserve Bank between 2012 and 2013. The High Court ruled Monday that Love should be tried in U.K. after Lord Chief Justice Lord Burnett of Maldon and Justice Ouseley heard he suffered severe mental illness like Asperger syndrome, eczema, asthma, and depression, and may kill himself if extradited. At Westminster Magistrates' Court in London in late 2016, District Judge Nina Tempia ordered Love to be extradited to the U.S. to stand trial, although his lawyers appealed the decision, arguing that he should be tried for his alleged crimes in the UK. The court accepted both of the arguments advanced by Love's lawyers and ruled that extradition would be "oppressive" due to his serious health conditions and it would be likely that he would be kept in solitary confinement in the American prison system if extradited. The court burst in applause and cheering when the judgment was handed down by Lord Burnett, who asked Love supporters to be quiet, saying "This is a court, not a theatre." The Crown Prosecution Service (CPS), which acts on behalf of the US authorities, said it would read the judgment before deciding whether to appeal the high court decision to the supreme court. According to US Prosecutors, Love was allegedly involved in #OpLastResort, an online protest linked with the Anonymous collective following the persecution and untimely death of hacktivist Aaron Swartz, who committed suicide in 2013 while under federal charges for data theft. Love, who lives near Newmarket, was arrested from his home in Stradishall, England in October 2013, when the British police seized his encrypted laptops and hard drives. Britain's National Crime Agency (NCA) also asked the courts to force Love to turn over keys to decrypt his encrypted computer's hard drives, but Love won the case against the agency in early 2016. If extradited to the United States and found guilty, Love could have sentenced to up to 99 years in prison and a potential fine of up to $9 million (£6.3 million). Speaking outside the Royal Courts of Justice, Love expressed his thanks to the judges and said: "I'm thankful for all the support we've had, without which I'm not sure I would have made it this far." WikiLeaks founder Julian Assange, who is also fighting US extradition, congratulate Love in a Tweet, saying: "VICTORY: @LauriLove wins UK appeal against US extradition. Congratulations to Lauri, his lawyers & family, @CourageFound and many supporters on an excellent campaign." Right now, it is not clear if Love, who denies all wrongdoings, would face a prison sentence in the UK following his five years of legal battle.